Serving the Greater Sacramento area and Northern California. Willow Lake Ranch, home of Tammy McDonald Training, has been family owned since 1970. 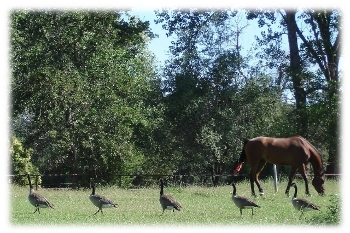 The ranch is nestled in the rolling foothills of Placer County, near the town of Newcastle, California. Tammy opened her training stable in 1988. The facility features a large covered riding arena (100&apos; x 175&apos;), a covered round pen, box stalls, stalls with paddocks, turn out pastures, a wash rack, tack rooms, grain rooms, and a hot walker. Tammy McDonald Training specializes in Arabians, Half Arabians & Paint Horses, however, all breeds are welcomed. We currently have 3 great horses of various types, ages and genders for sale. To view these sale horses simply select one of the sale pages from the menu.